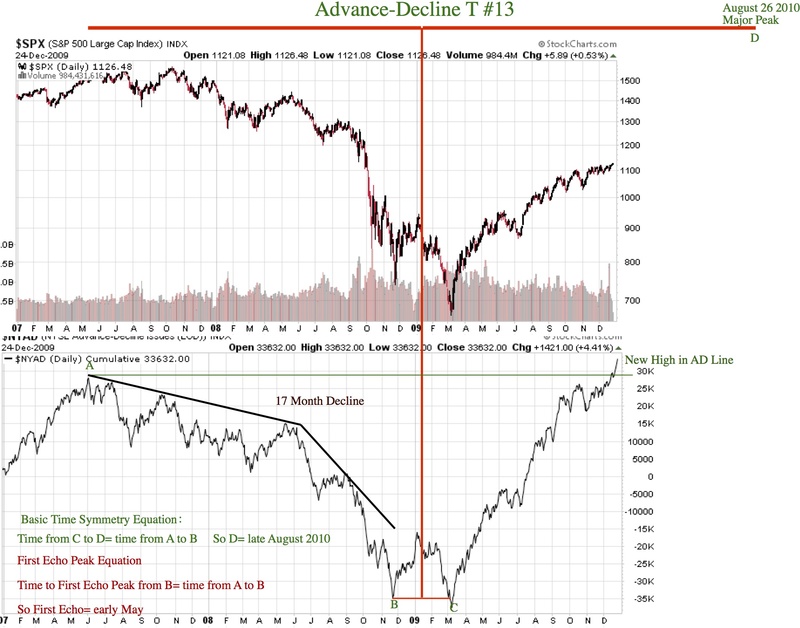 Today’s discussion is a general end of year summary of the current bull market, where is is going, and the big problems likely when it ends in August 2010 See the charts below with their Audio Comments. Update for Sunday December 20 2009. 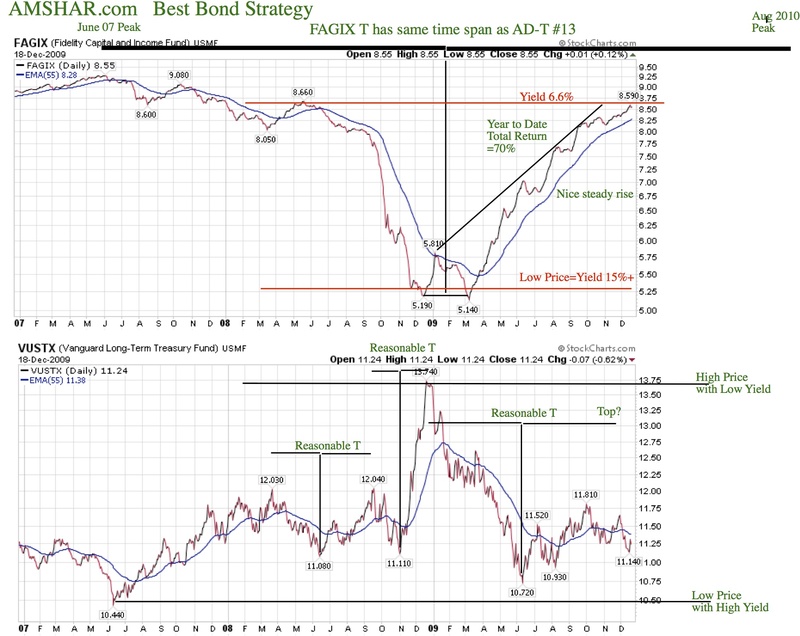 Todays discussion looks at a Gold fund, amshar’s Best Bond Strategy and the S&P vs ADLine Divergence. See the charts below with their Audio Comments. Update for Sunday December 13 2009. Today’s discussion looks at the recent upside breakout in the AD Line and the concept of the MacGuffin in investment themes. 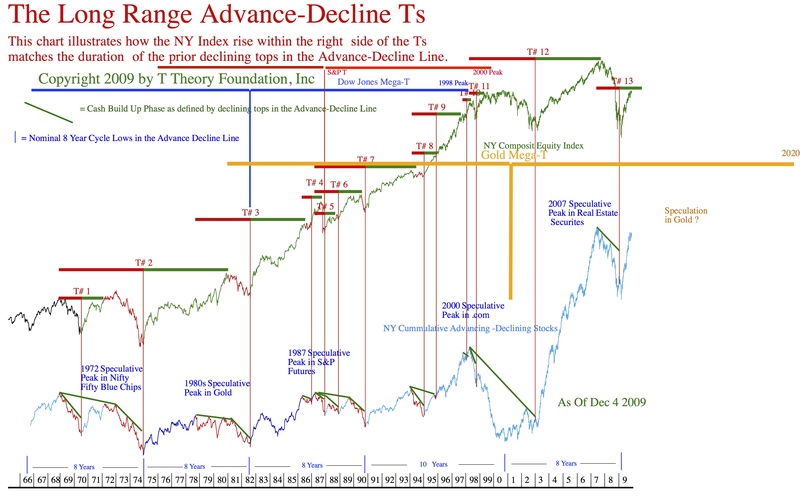 Today I have expanded the 1966 to 2009 basic A-D T chart presentation to include all important Ts detailed in the tutorials in order to answer some reader questions and better put the big picture more clearly into perspective. I had planned to answer some detailed technical questions today but I am postponing them until next week. 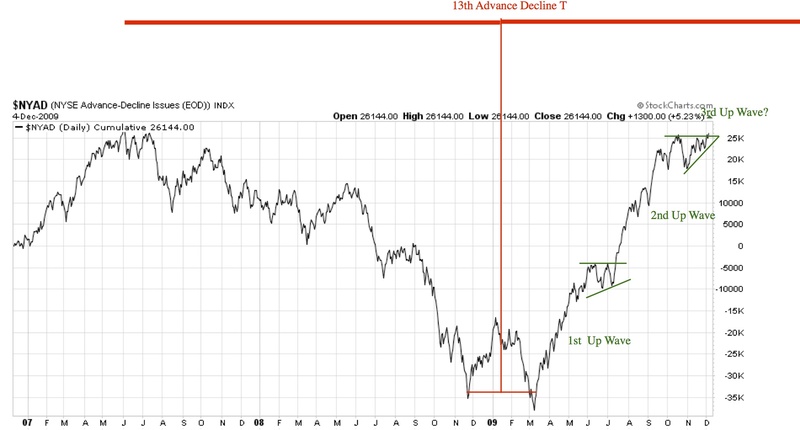 As usual look at the first PDF Chart then listen to its Audio Commentary. You should be able to have the chart visible while the audio is playing. 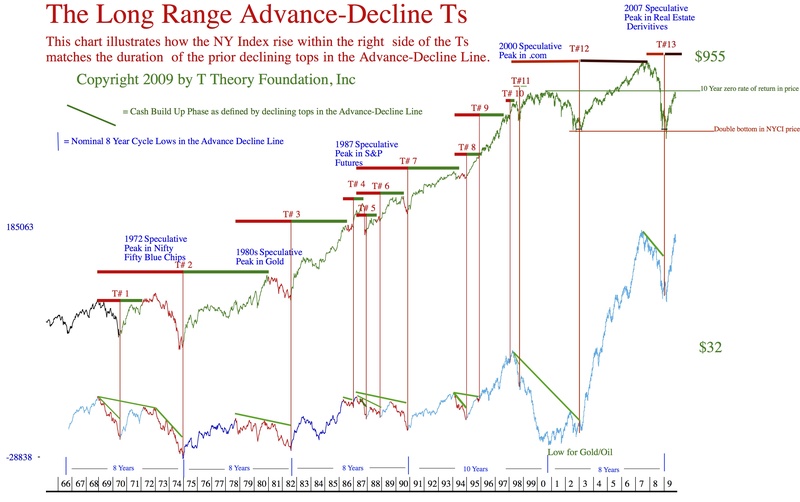 Then move on to the detailed AD T Chart and its commentary. This entry was posted on April 17, 2013 at 11:25 AM and is filed under . . . T Theory®. You can subscribe via RSS 2.0 feed to this post's comments. You can comment below, or link to this permanent URL from your own site.